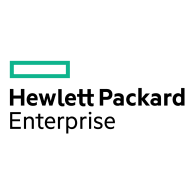 Hewlett Packard Enterprise (NYSE: HPE) will conduct a live audio webcast of its conference call to review its financial results for the first quarter of fiscal 2019, which ended Jan. 31, 2019. The call is scheduled for Thursday, Feb. 21, at 5:00 p.m. ET / 2:00 p.m. PT, and the webcast will be available at www.hpe.com/investor/2019Q1Webcast.